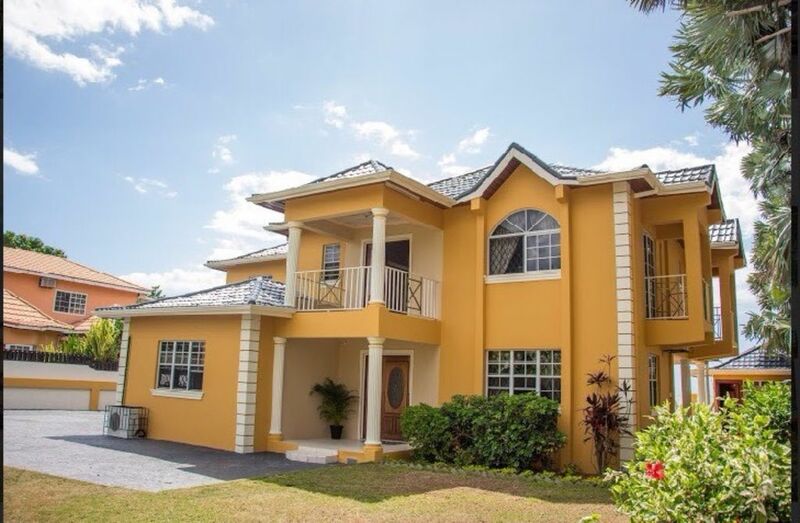 Beliggende på den smukke sydkysten af ​​Jamaica sidder denne premium fire værelses villa med sin egen private strand. Rummelige soveværelser, hver med dronning senge og en konge i master suite åbner op til afslappende hav og udsigt over haven fra din egen private balkon. Wrap rundt terrasser på jorden og øverste etage, fuldt udstyret køkken, internet og wifi, udendørs strandbar og grill, pool og whirlpool, pergola og strand cabana at gøre så lidt eller så meget som du ønsker. Bask i den gyldne glød af Carribean solskin og lad vores villla personale forkæle dig. Husholdning og din egen hjemmehørende kokk, vil sikre, at dit ophold bliver uforglemmeligt. Sweet Escape Villaen lover en flugt, hvor du kan opleve en side af øen, der er uhyggelig. Det byder på et varieret landskab af vandfald, floder, bjerge, huler, et fuglekikkerparadis og selvfølgelig det smukke Caribiske Hav. Gæsterne har adgang til alle områder undtagen personaleindkvartering. Ved ankomsten kan du nyde vores gratis måltid udarbejdet af vores elskede og talentfulde kok. Rygning er ikke tilladt inde i villaen. Du kan ryge udendørs. Vores private kokkens kulinariske kreativitet vil tantalisere dine smagsløg. Husholdning tilbydes, så du kan slappe af og nyde din ferie. vores udendørs bar og grill er beliggende ved poolen, vores strand cabana for at hengive sig i læsning, solnedgang og fugleture, holde øje med børnene, mens de leger i sandet og bygger slotte. Vores smukke villa har wrap rundt på terrasser på både nederste og øverste etage. Wifi og internetadgang, kabel t. v., Netflix, brætspil. Komfortabel morgenkåbe til din brug på villaen. Mobiltelefon er beregnet til din brug, mens du er ude og omkring. Our families had a wonderful trip to Jamaica, made even better by staying at the villa - Sweet Escape. Carla's prompt and courteous communication made planning the trip so much easier. On arrival at the villa we were greeted by Mark who had prepared a delicious meal for our group. All of the meals during our visit were just as good. The villa was well appointed with everything that we needed for our stay. Local knowledge from Mark was invaluable and helped us to enjoy the island experience. Kerion was friendly and kept the house in order. Black River is the best kept secret in Jamaica - perfectly located for your vacation. We would highly recommend this property. Thank you for make us a part of your first visit to Jamaica. It truly was our pleasure to host you !! Beautiful property with very hospitable staff. Our stay at Sweet Escape villa was a most enjoyable one. Each member of the family is in agreement that it was an awesome vacation. They got to do what they wanted whether it was swimming in the sea or pool, touring the attractions, playing games or just lazing around. The house was clean, airy and tastefully furnished and surrounded by beautiful plants and flowers. Kerion the housekeeper, was quiet but pleasant. Mark the chef, was accommodating, patiently answering our questions and even accompanied us to purchase fresh fish and lobster at a nearby fishing village. And not to mention his cooking! Everyone raved about the tasty Jamaican dishes he prepared. The one disappointment was that there were only 3 bathrooms inside the villa instead of the 4 advertised. This was disconcerting at first but we soon got around this. Overall we had a wonderful time at Sweet Escape. Thank you Carla, Mark and Kerion! Thank you for your gracious review , we are happy we were able to be apart of your vacation experience . Our villa has four bathrooms ( 3 indoors 1 poolside ) . It is unfortunate you felt misguided . Your warm words of our staff are well appreciated , we look forward to hosting you again ! Better than we even imagined! We just spent 6 nights at Sweet Escape with 2 families of 4, and loved every minute of it! I was a little nervous booking the place, with no reviews at the time, and a location outside of the tourist areas of Jamaica. But for anyone else hesitating - do it. The house was very well kept thanks to a great housekeeper; the pool was larger than the photos suggest, and the beach was peaceful and relaxing. But my biggest kudos go to Marc, the chef - he was amazing. He worked with us on setting a meal plan, shopped for all ingredients with us and cooked some wonderful Jamaican cuisine (the fried chicken and curry goat were our favorites). He also helped with organizing the excursions and navigating the local scene. We felt safe the entire time with him with us. The must-dos for anyone staying here are the Pelican Bar and YS Falls. The ride from the airport is a little long and bumpy, but the scenery is beautiful. We have already recommended the place to friends, and would go back ourselves in a heartbeat! We were truly delighted to have you vacation with us. I am pleased we surpassed your expectations as our aim is to make every guest have an unforgettable vacation. Thank you for your kind words for our villa staff , we understand that guest satisfaction is so important. We would love to have you back. We had a fabulous time here! The villa is beautiful with so many spots to relax and enjoy the view. Waking up in the morning and enjoying your morning coffee on the balcony and seeing the caribean sea right in front of you. Relaxing areas to sit and read inside and outside. The grounds are beautifully landscaped. A perfect place to go for a beach vacation. Relax on the cabana, sit under the umbrella, hunt for shells on the beach. Then you can retire to poolside with lovely seating under the gazebo. Play volleyball in the pool or just relax on a raft. Everything is available to make your stay a memorable one! Most special of our stay was the care and attention provided by Mark and Keri!! Mark is the personal chef who pampers you with Jamaican culinary delights! He's a fantastic cook and also watches over the property setting up the grounds each morning. We enjoyed getting to know him and learn more of the Jamaican culture. Keri is the housekeeper and did an excellent job of keeping the house clean throughout our stay. I would be remiss not to include Carla in my review. She always got back to me readily with any questions I had re: the villa and transportation. She set up a van to pick us up at the airport and bring us to the villa - no worries man! She even thought to have a cell phone in the villa for our use if we needed to talk with her or arrange transportation. She has everything well thought out for you to have a safe and happy stay while there. We had a family of 10 and everyone was in agreement that we want to come back!! It was our absolute pleasure hosting you. We are delighted that your vacation was memorable and fun filled .